Join Mel and Kim this week as we do something so near and dear to our hearts..Raise Awareness for Autism! We will share our personal stories and stress some very important things that parents need to know upon diagnosis. 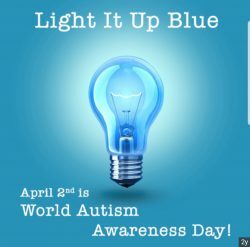 We hope that you will help us today (World Autism Awareness Day) by raising awareness, sharing this episode to anyone you think needs to hear this, and lighting it up by wearing blue. Thank you!